The following is a repost from my own blog that is relevant to the discussions of Judaism and Greek philosophy that have come up repeatedly in this year's Torah study, with its focus on Maimonides. In this instance, it's not the contrast between Athens and Jerusalem that is emphasized, but the commonality of the two worldviews, both with roots in the first truly literate cultures of antiquity. 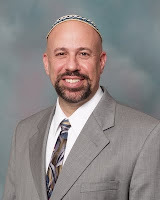 The post involves a response to another blog post by Rabbi Dr. Nathan Lopes Cardozo of the David Cardozo Academy in Jerusalem, and while the Academy and Rabbi Cardozo are Orthodox in orientation, the conclusion has much relevance for Reform Judaism in the 21st century. Apart from its other potential benefits in areas such as ethics and spirituality, religion can lead to important insights associated with a media ecology perspective. For example, in Amusing Ourselves to Death, Neil Postman mentions how he learned about the Ten Commandments of Moses as a child, presumably in Hebrew School, and was particularly taken with the Second Commandment's prohibition against graven images of any kind, independent of their content, which in practical terms can be said to be the first historical expression of a media ecology approach. For Walter Ong, as a Jesuit priest learning about religious traditions, he explains how a big breakthrough came for him when he realized that the emphasis on the visual sense, which has it roots in the literate culture of ancient Greece, is not present in the literate culture of ancient Israel, and that a high degree of residual orality persists in Jewish religious tradition, to this day. The visualism that first started to coalesce in Greece and Rome did not fully come to dominant western culture until after the printing revolution begun in the 15th century, but from that point on, it is integral to all that is, or was, distinctive about modern western culture. Now, Ong and Postman, along with other media ecology scholars such as Marshall McLuhan, have identified Plato's Phaedrus as including the first form of scholarship in the field of media ecology, insofar as that dialogue includes some discussion of the differences between speech and writing as modes of communication. That discussion is supplemented by further observation in Plato's Seventh Letter. The footnote reads: "Cicero, 'On Old Age,' Section 5." And let me note at this point that within the dialogue, it is Socrates who takes this position, and there is at least some question as to whether these are arguments made by Socrates, who left us no written works and appears to us as a champion of orality. Is Plato a reporter, in this sense, relating what Socrates said, or is Socrates just a literary character, a mouthpiece for Plato's own thought? Whether the truth lies more in one direction or another, we can assume that the concerns expressed were those of Plato, but also note the irony that he did in fact put them into writing, or else we would never have known about them. This is an important point as well. 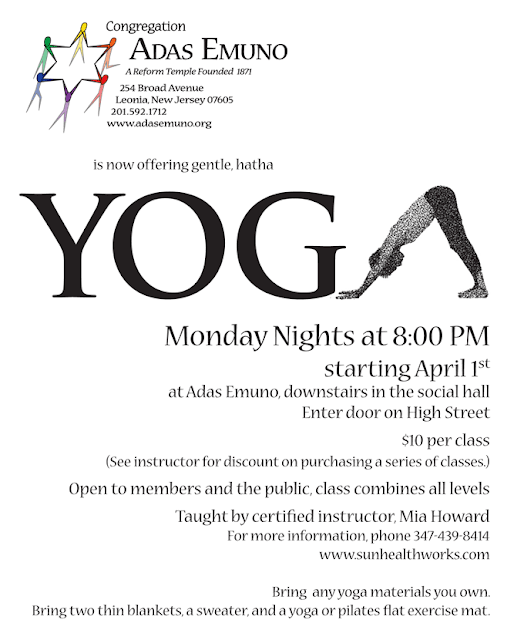 We learn, memorize, internalize with our whole body. Ong refers to the Jesuit scholar Marcel Jousse who used the term "verbomotor lifestyle" to refer to this involvement of the whole body. In Jewish tradition, in praying and also in studying Talmud (which Ong mentions), individuals daven, a Hebrew word with the connotation of rocking back and forth, although the denotative meaning is pray. One of our most important prayers, the V'Ahavta (which comes from the book of Deuteronomy) begins with, "And you shall love the Lord your God with all your heart, and with all your soul, and with all your might." In other words, with complete involvement of body, mind, and spirit. And getting back to the point about memory, McLuhan's colleague, Edmund Carpenter, noted that we use the phrase, learning by heart, where heart is a metaphor for the body—it's not just a mental activity. Unwittingly, Plato touched on a most fundamental aspect of the Jewish Tradition. We Jews are called “the people of the book.” But we are not; we are the people of the ear. The Torah is not to be read, but rather is to be heard. It was not written in the conventional sense. It was the Divine word spoken at Sinai, which had to be heard and which afterwards, out of pure necessity, became frozen in a text, but with the sole intention of being immediately “defrosted” through the art of hearing. This, then, became the great foundation of the Jewish Oral Tradition. This brings up some interesting points about what went on with God and Moses according to the Torah. My understanding is that God wrote the Torah down on stone tablets, typically depicted as the Ten Commandments, but the Torah has 613 laws all told, plus the narrative that makes up the Five Books of Moses. Traditionally, it's said that the entire Torah was delivered in this way, but whatever it consisted of, the story has it that Moses threw the tablets down when he saw the Israelites worshiping the golden calf, so that they were broken into fragments, then went back up the mount, and the second time around God dictated them and Moses wrote them down in his own hand. But there's more! By the time of the Roman conquest of Judah, which they renamed Judea, there were two groups vying for dominance . One, the Sadducees, who were members of the upper class, including the priests who controlled the Second Temple, only acknowledged the written law as found in the Torah as a document. The other group was the Pharisees, from whom Rabbinic Judaism emerged, and who have been unfairly maligned within the Christian New Testament (especially given the fact that much of what Jesus says in the New Testament is essentially an extreme Pharisaic position). The Pharisees argued that in addition to the written Torah, God also gave Moses the oral Torah, which is the tradition of oral interpretation of the written text. This allowed for much greater flexibility, and from this comes the document known as the Talmud, which is a written record of that oral tradition. But note that it is an oral tradition quite different from the oral tradition we associate with oral cultures, but rather an oral tradition that responds to a written text. The answer to Plato's criticism that a text cannot answer questions is this act of interpretation. That is the role of the teacher, and that is what is meant by a rabbi, or in eastern tradition a guru, someone who can speak for, answer for, and interpret a text. Reading entails using one’s eyes and, as such, the act remains external. The words are not carved into the very soul of the reader. Rabbi Yaakov Leiner, son of the famous Ishbitzer Rebbe, Rabbi Mordechai Yosef Leiner, and one of the keenest minds in the Chassidic tradition, speaks about seeing. He makes the valuable observation that sight discloses the external aspect of things while hearing reveals the internal. (3) One must hear a text, not read it. This is the reason why the body of Torah consists of minimum words and maximum oral interpretation. Footnote 3 reads: "Rabbi Yaacov Leiner, Beis Yaakov: Rosh Chodesh Av." And this is a very important point. Vision gives us exteriors. Voice comes from inside us, with the breath of life, so that the interior is exteriorized, and then internalized again through the act of hearing. Given our visualist tradition in the west, we tend to assume that reading means reading silently to ourselves, which transforms us into isolated individuals. Reading out loud binds us together as an audience and community, it creates a relationship, whether it is teacher-student, parent-child, or from a religious perspective, God and humanity. Interpretation, an open approach to meaning-making, is linked to a social, relational approach to understanding, and in some sense in constructing our view of the world, our reality. As someone who has made a career in higher education, I must note that this has profound implications for education in general, and Postman emphasized the importance of a balance between the spoken and written word that was achieved in the classroom, and how reliance on electronic technologies for teaching might disrupt that balance. If nothing else, it is a point to consider, as is the point about reading out loud even if we are by ourselves, to enter into a dialogue with ourselves. And from a religious point of view, we are never completely alone, are we? The footnote reads: "Abraham Joshua Heschel, Man Is Not Alone: A Philosophy of Religion (New York: Farrar, Straus and Giroux, 1976) p. 8." The reference to spiritual space in this passage is quite interesting. Whether the space is sacred or profane, writing fixes and freezes language in space. While space is perceived through all the senses, it is most closely connected to vision. Visual space is distinct from acoustic space, a realization central to McLuhan's media ecology (and that of Carpenter as well). But sound is best understood with respect to time rather than space. Sound is an event, a happening, as Ong reminds us, sound is ephemeral and only exists as it is going out of existence. And Ong too notes the intimate connection between the oral-aural world and the sacred. When we read the text on the Seder night, we should be aware that it only provides the opening words. The real Haggada has no text. It is not to be read, but is rather to be heard. And just as with the Torah, we have not even begun to understand its full meaning. We are simply perpetual beginners. This is a wonderful sentiment, that we are all learners, all seekers. Jack Goody makes this point about religious understanding in oral cultures, that it is about being a seeker rather than about adhering to fixed dogma. Put another way, the sacred text and the oral tradition are media environments, and as environments they are too vast to fully comprehend or map, but they are open to ongoing exploration. Rabbi Cardozo ends his post with, "moadim le-simcha," which means happy holidays, and I would like to return the sentiment to him, "chag sameach" (another Hebrew phrase meaning happy holiday), and happy holidays to people of good will of all faiths and beliefs. As we prepare to celebrate Shabbat Chol Hamoed Pesach, the sabbath that falls during the week-long celebration of Passover, we wish you a Chag Sameach and Shabbat Shalom! After the last Torah Study meeting, devoted to Chapter 10, I decided to reread the last four chapters of The Book of Knowledge by Maimonides. Listening to them once, during our weekly meetings, was not sufficient for me. Why is it so? Because I do not hear well, and because my brain's ability to digest new material is deteriorating. More important factors are my absence of theological and linguistic background. The title is "The Book of Knowledge by Maimonides; THE LAWS OF THE BASIC PRINCIPLES OF THE TORAH." Will writing of this essay help me to understand theology better? I hope so. Prophets, unlike God and angels, are human beings. A prophecy is a message we receive from God. His wishes are transmitted to prophets by angels, and prophets transmit them to us, human beings. Why are God's wishes expressed in the form of riddles (parables)? This puzzling question is not answered by Maimonides, as far as I know. Interpretation of riddles, he writes, is left to prophets, and expert theologians, among humans. How do we distinguish a real prophet from a false prophet? By his ability to perform miracles, and by his ability to predict the future. Moses was unique in that his prophecy (the five books we call Torah) was received directly from God, not from angels. This chapter is about signs Moses performed (splitting of the Red Sea, manna from the sky, etc.) to convince people that he was a real prophet. We are warned that some signs of other prophets might be the results of "spells and witchcraft." Moses was an exceptional prophet. Later prophets are not allowed to "make any changes whatsoever in the Torah and the commandments contained therein." The word "whatsoever" seems to conflict with what I see in Maimonides' next paragraph, where we are told that a pronouncement made by a "true prophet," even if it conflicts with the Bible, should be accepted, except when it leads to idolatry. [Editor's Note: Maimonides meant that later prophets cannot make any permanent changes to the Law, but could call for a temporary suspension of one of the 613 commandments, with the exception of the prohibition against idolatry.] Maimonides was probably aware that this is a contradiction. His definition of a "true prophet" clarifies this. It states that a person trying to disprove the prophecy of Moses is a "false prophet." Any suggestion made by such a person must be rejected, not only a call for the return to idolatry. What would Maimonides say about later attempts to reform traditional Jewish theology? He would probably label them as sinful. Maimonides wrote that "any prophet who arises and says that God sent him does not have to perform a sign of the type that Moses, Elijah, or Elishah did, which involved supernatural events. Instead, the sign that he has to perform is to predict the future, and we have to believe him." This reminds me of scientific methodology; knowing that a scientific theory explains already known facts is not enough, as theories are tested on the basis of their ability to predict unknown facts. Even a single conflict, between a confirmed experimental fact and a theory is a sufficient reason to either abandon or to modify the theory. The rule is "theories guide but experiments decide." Theoretical scientists, Bohr, Einstein and Pauli are example of "scientific prophets". Theology is different from science. Neither scientists nor theologians have suggested that laboratory investigations should be used to confirm God's existence. That is how the Biblical statement "I am invisible" should be interpreted, in my opinion. Pronoucements found in the Pentateuch are not to be questioned; we accept them axiomatically. Scholastic interpretations of the original Bible, on the other hand, including descriptions found in the twenty volumes of the Talmud, and in the Mishnah, are not axioms. These products of human thinking are logically debatable, modifiable, and rejectable, when necessary. In that sense, theology is similar to mathematics—we accept theological axioms on faith and we derive other statements by using logical speculations. A Talmudic statement, for example, cannot be disqualified, unless a logical error is found in its derivation. Everything that is logically consistent with the Pentateuch, and with already derived statements, is valid. Some logically-justified statements, however, are more practically useful than others, in my opinion. Just in time for Pesach, here is a video entitled President Obama on the Importance of Passover posted on YouTube's official WhiteHouse channel, and featuring President Obama talking about the importance of the Passover tradition while speaking to the Israeli people in Jerusalem. And to that we can say, Amen!, and Chag Sameach! Wasn't that an a capella performance worthy of Broadway? And reminiscent of the wonderful Magevet concert held at Adas Emuno this past January (see our previous post, A Capella on Thursday). And with that, we extend our best wishes for a JOYOUS Passover! But of course, our Passover celebrations will not be televised, they will be live! And following the first Seder tonight, please join us as Adas Emuno hosts the Reform Community Pesach Service on Tuesday morning at 10:30 AM. 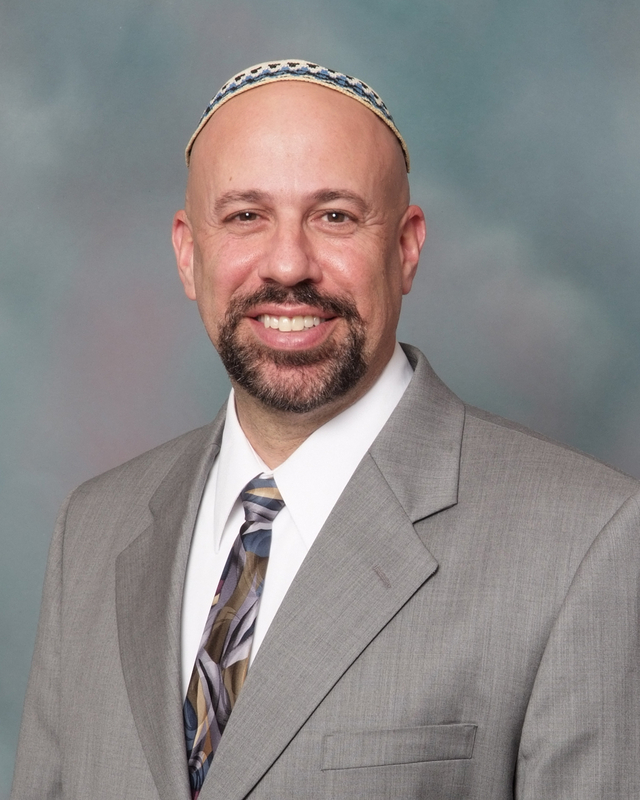 The rabbis and cantors and congregants from Temple Emeth of Teaneack and Temple Sinai of Tenafly will join us, and Rabbi Lawrence Troster, one of the leading figures in the Jewish environmental movement today, will give a thought provoking sermon on Pesach and Environmental Justice. If you are not working that morning, this community service will truly add a joyful dimension to your holiday. And with that we wish you a Chag Sameach, and a Zissen Pesach! And we wish you good luck in all of your holiday preparations, and a Chag Sameach from Congregation Adas Emuno! From the pages of Kadima, Daniel Arnold's mitzvah project. Daniel Arnold will become bar mitzvah on April 27. For his mitzvah project, he will be collecting dog and cat food that will be donated to the Ramapo-Bergen Animal Refuge, the leading no-kill animal shelter in Bergen County. 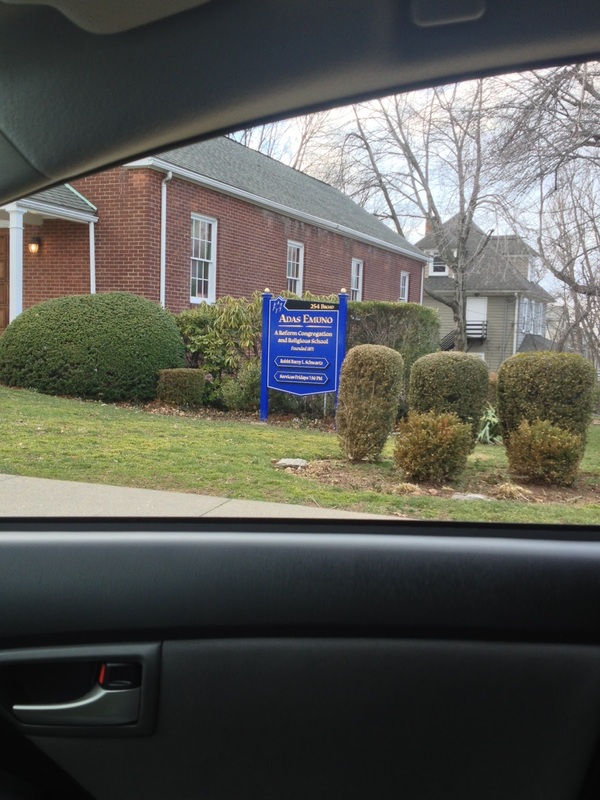 All congregants are welcome to donate, and your help is appreciated! Please leave your donations in the vestry room of the temple (in a bag, please). Daniel is doing this as a thank you for his family’s rescue dog, Waldo. As you may know, the word lunacy is derived from luna, which means moon, and originates in the archaic belief that the phases of the moon could trigger illness or insanity (remember all those stories about werewolves and the full moon?). In Old English an equivalent phrase was used, which translates to month-sickness, the word month being related to moon, originally referring to the period of time in which the moon completely cycles through its phases. And as you probably know, the Hebrew calendar is a lunar calendar, as opposed to the solar calendar that we use in everyday life. In traditional religious observance dating back to the biblical era, the first day of each month was considered sacred, a minor holiday referred to as Rosh Chodesh, rosh meaning head, as in Rosh Hashanah, the first day of the Jewish new year. And Rosh Chodesh originally was signaled not by a counting of the days of the month, but by the first sighting of the crescent moon. 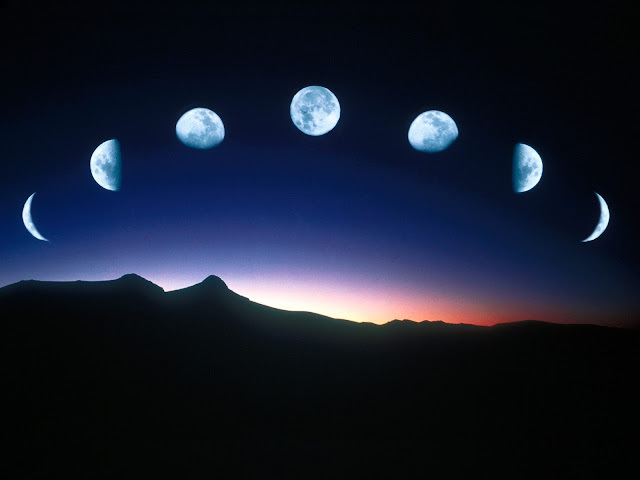 Today, we commonly refer to the phase when the moon vanishes from sight as the new moon, but traditionally new moon meant the end of that phase, not the beginning. And as you no doubt know, the lunar calendar does not match up with the solar calendar. Each month on the Hebrew calendar lasts for only 29 or 30 days, so that the Jewish year falls about 11 days short of the secular year. This requires an adjustment every few years, and rather than adding leap days, which would only makes sense for a solar calendar, we add a leap month to our lunar calendar, specifically a second month of Adar. The result is, as we all know, that Jewish holidays fluctuate quite a bit from one year to another. And being accustomed as we are to the solar calendar, this may seem a bit lunatic, and in a sense it is. We live in two worlds, one modern and one ancient, the two connected by tradition and history, evolution and progress. This is a source of our survival and strength as a people, a civilization and culture, and a faith. As Reform Jews, we live in the modern world, and so we commonly say that a Jewish holiday is coming early this year, or late. But really, the Jewish holidays come exactly when they're supposed to, on the Hebrew calendar, and are only early or late relative to the solar calendar. I have no doubt that this experience helped Albert Einstein to realize his theory of relativity. He most certainly understood that if Hanukkah is coming early one year (relative to the solar calendar), it also means that Christmas is coming late (relative to the Jewish calendar). And you may have noticed that our holidays are coming early this year, relatively speaking. We celebrated Purim in February, and Passover's mostly in March. Looking ahead, Rosh Hashanah will begin right after Labor Day, on the evening of September 4th, and the first night of Hanukkah will be on November 27, the night before Thanksgiving! This is truly a remarkable year for the Hebrew calendar, and it will no doubt require some adjustments on our part. It also has some practical implications for our congregational business, as the process of asking you for your membership dues always begins before the High Holy Days, which means that this year we would need to ask earlier than usual under any circumstances. But the truth is that we have for a long time now been late in asking for dues, and not just relatively speaking. Rather, we've been out of sync with standard practice in temples and synagogues across the nation, which is to require members to be paid in full for the coming year prior to Rosh Hashanah, rather than simply beginning the billing cycle then. We also have been late in collecting tuition for our religious school, which generates problems for planning and preparation. So this year, we will be moving our cycle up by a few months, sending bills out a little earlier than usual. We need to get in sync for the long-term financial stability and health of our congregation. But at the same time we realize that a sudden and drastic shift in billing, like leaping ahead a year, might place a difficult and unexpected burden on families and individuals. So we'll be making the adjustment gradually, bit by bit over the course of several years. Hopefully, this will be an easy and relatively painless way to fix our financial calendar without too much lunacy, so that we'll be able to celebrate our Jewish holidays at Adas Emuno for many, many years to come! This looks like it will be a superb event, so please feel free to join Rabbi Schwartz, and invite your friends and neighbors to come on down for three evenings of spirited dialogue... and debate! Rabbi Schwartz brought his Confirmation class to the screening, and brought them into the discussion in an engaging and thought-provoking way. Filmmaker James Ford Nussbaum explains how the documentary was made, as well as his motivation for making it, and fields questions form the audience. It was truly a knockout of an event, a conclusion that no one would dare fight about! As many of you know, Board of Trustee member and parent, Rebecca Kind Slater and I wrote an application to be part of an URJ (Union of Reform Judaism) Community of Practice [see our previous post, Communities of Practice]. This is a new concept for URJ because in the past, there were regional offices throughout the United States helping synagogues. Now, through an application process, synagogues are able to apply to be part of a community of practice on a subject important to the congregation. What is a community of practice? Communities of practice are formed by people who share a concern or a passion for something they do and learn how to do it better as they interact regularly. 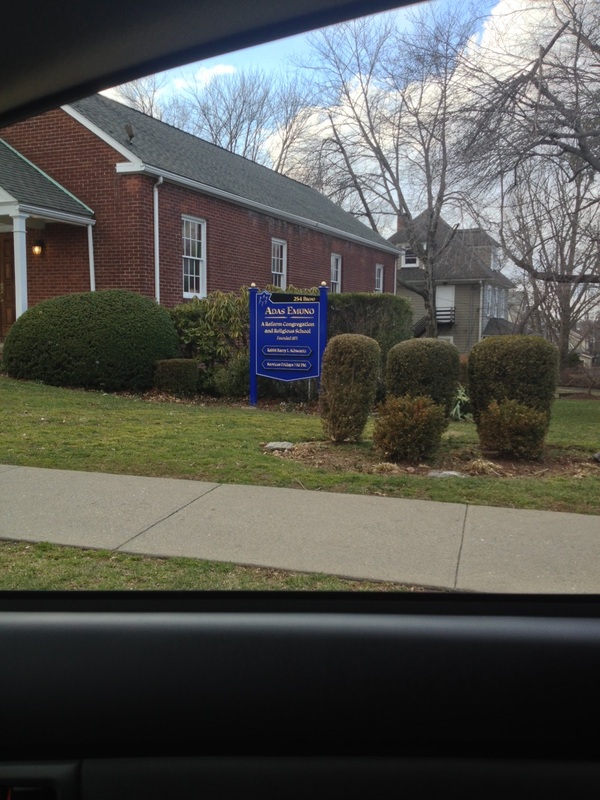 Congregation Adas Emuno is one of 11 congregations from the United States in "Successfully Engaging Young Families." At first I went into this project thinking it was all about how to increase our Temple membership and create great programming. However, towards the middle of my weekend in Chicago at the inaugural Communities of Practice meetings, I discovered it was about something much different. Our goal is: Families with young children will develop strong, deep, long-lasting connections to Jewish life. For the young families, it is about relationships and making connections, an impact to do things differently, and meaning to change or add something to understand the world. Membership is not the priority. Where do we go from here? If you would like to be part of the Young Families Task Force, please send me an email at adasschool at gmail.com. We will meet in March to get this project off the ground. This will take a commitment from everyone to get the word out that Congregation Adas Emuno is alive and well and in Leonia, New Jersey. Let's share our successes and engage with others. A hearty todah rabah to congregant Mia Howard for offering this special treat for our members! And if there's anything you can say about Adas Emuno, it's that we're very flexible here! Ever notice that the Jewish holidays always come “early” or “late” but never on time? This most common of comments is ironic indeed. According to the Hebrew calendar our Jewish holidays always come on time because they fall on the same day of the same Hebrew month year after year. It is only in comparison to the secular (civil) calendar that they appear early or late. The fact that we unfailingly make the comparisons is testimony to Mordecai Kaplan’s thesis that we really do live in two civilizations, which he called Jewish and Western (and can be called “Jerusalem” and “Athens” when referring to philosophical world views [see Rabbi Schwartz's previous column, From Athens to Jerusalem). Well, this year is a doozy. 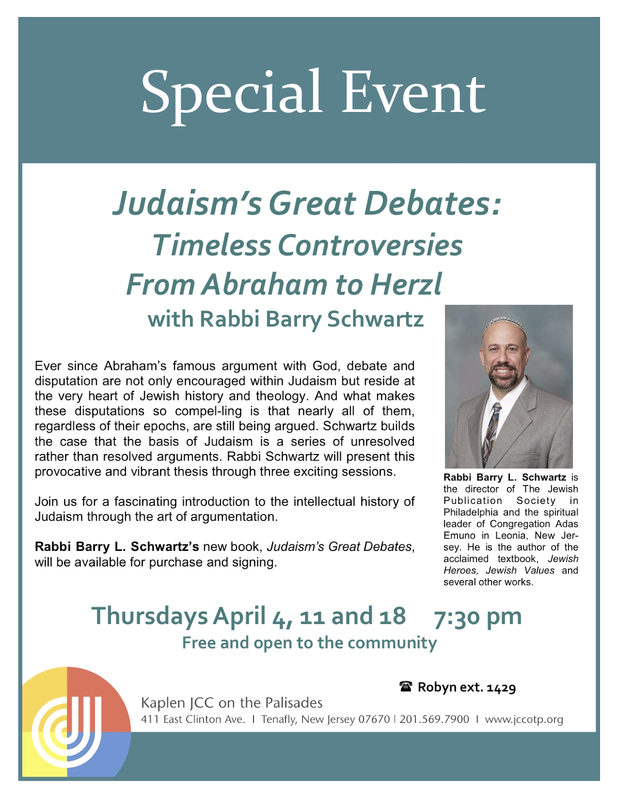 Talk about the holidays coming early… by the time you read this Purim will be over, because it is in February instead of March, and Pesach is in March instead of April. Rosh HaShana is two days after Labor Day and Sukkot and Simchat Torah are done by the end of September. But the craziest thing of all is that Hanukkah and Thanksgiving come at the same time this year! No, that’s not a mistake… check your calendar and you will see that we actually light the first candle the night before Turkey Day (in my case Tofurkey Day). Due to vagaries of the Hebraic and Gregorian calendars (too complicated to explain) this confluence is unprecedented and will never happen exactly this way again. The next time anything remotely similar will occur will be in 2070 and 2165. But back to our next holiday, Pesach, which happens to be the most widely observed Jewish holiday. You don’t have to belong to a synagogue. In fact, you don’t have to leave home. A special family meal is the centerpiece. And the celebration of rebirth of spring and freedom in the context of the great Exodus story are universal themes that appeal to all Jews, and indeed, all people. Consider adding a special dimension to your observance of Pesach this year. 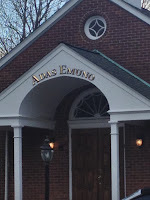 Congregation Adas Emuno is proud to host the Pesach Morning Reform Community Service this year (Tuesday, March 26 at 10:30 am). 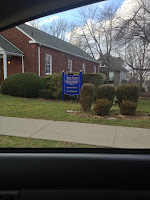 The rabbis and cantors from Temple Beth Emeth in Teaneck and Temple Sinai in Tenafly will join us. Any of you who have attended these communal services know that the worship is spirited and joyful. You will even be pleasantly surprised at the quality of the kosher-for-Passover reception that follows! Even if you are up past your bed time and eat too much at your family seder… come early, stay late, and you’ll be right on time for our festival gathering. After all, it makes no difference if the holidays are early or late, so long as we celebrate. 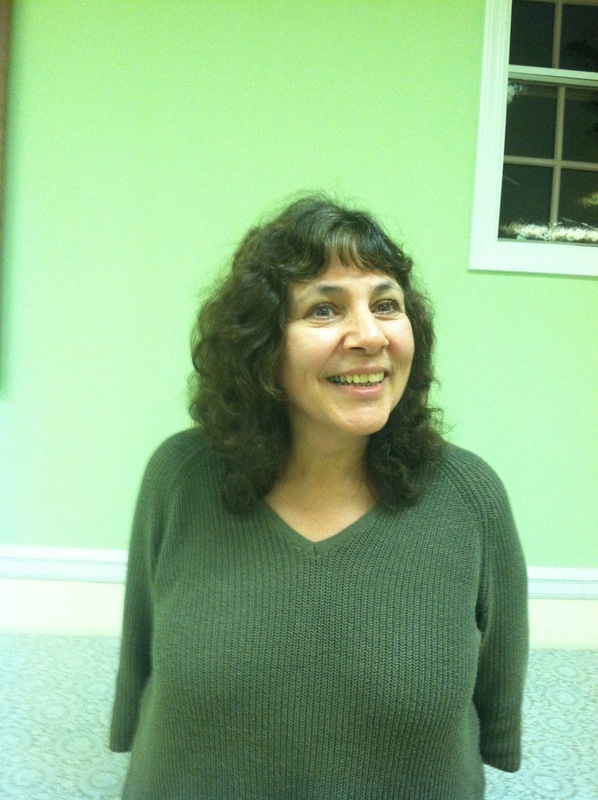 From the pages of Kadima, Emma Schuller's message to our congregation. My name is Emma Schuller and I will become a bat mitzvah on Saturday, May 11. I chose a Blood Drive as my mitzvah project. 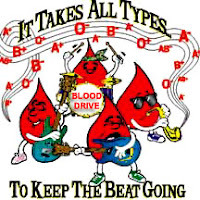 It will be held on Sunday, March 24 from 10:00 a.m. to 2:30 p.m. To take part in this blood drive, you must be 16 or older. You must come with some sort of photo ID, such as a Driver's License or passport. After you donate, a snack will be provided. My goal is to have at least 30 people to sign up and donate. 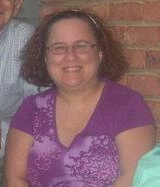 If you would like to donate, please call my mom (Zena) on her cell phone at 973-534-6784 to schedule a time. Walk-ins are welcome, but an appointment time works best. Please help me achieve my goal and make this blood drive a success! That is a mitzvah indeed! Todah rabah, Emma, we know your blood drive will be a great success! 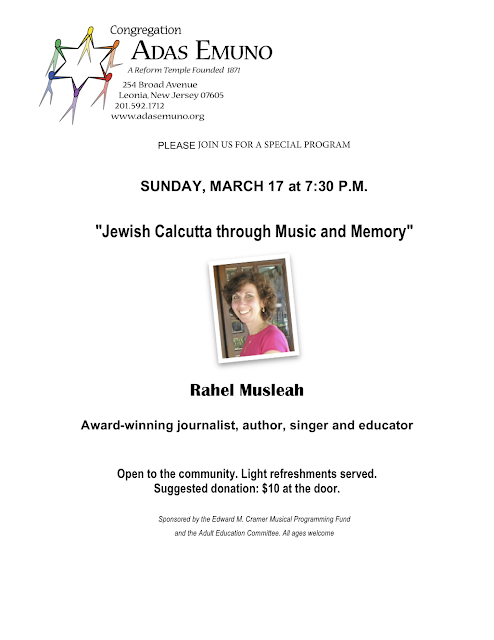 Jewish Culture in India This Sunday! Shalom! Namaste! And we hope to see you there! The Social Action Committee will be holding its next meeting on Thursday, March 21, at 6:45 pm. Won’t you please join us? If you can’t make it, but have an idea for the committee to discuss, please email me at acheryl21 at gmail.com. Thank you. We are continuing the food drive, so please continue to bring non-perishable items to the temple. Another delivery was just made to the Center for Food Action from Adas Emuno. I hope you know how very much this food is appreciated, as well as needed. As spring arrives (and not a minute too soon!) we will be working on new projects. So, we’ll be in touch! 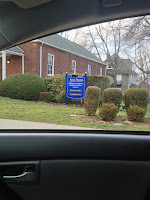 As you may recall, we lost our temple's sign to Hurricane Sandy (see our previous post, Sign of the Times), and to be honest, it had long been recognized that our our signage was inadequate, and antiquated. We are therefore pleased to share with you the fact that our sign has finally been replaced. We are very pleased with our new sign, and we hope that you are too! This sign should be much more easily visible from the street than our old one, as well as being more pleasing to the eye. And note that, unlike our old sign, this one features our new logo, as well as our street address! Now, there really shouldn't be any trouble recognizing us from the road! Special thanks go out to Lauren Rowland and Amy Chartoff for arranging for our new signage, and to Michael Fishbein, chair of our Buildings and Grounds Committee. This has certainly been a day for religious renewal, and new signs of the times!